I’m posting later than usual today. Thus, I’m going to make this post short and sweet. Sometimes, I just want a side of zucchini noodles. I’ll cook a spiralized zucchini in olive oil, garlic and a bit of fresh lemon zest. 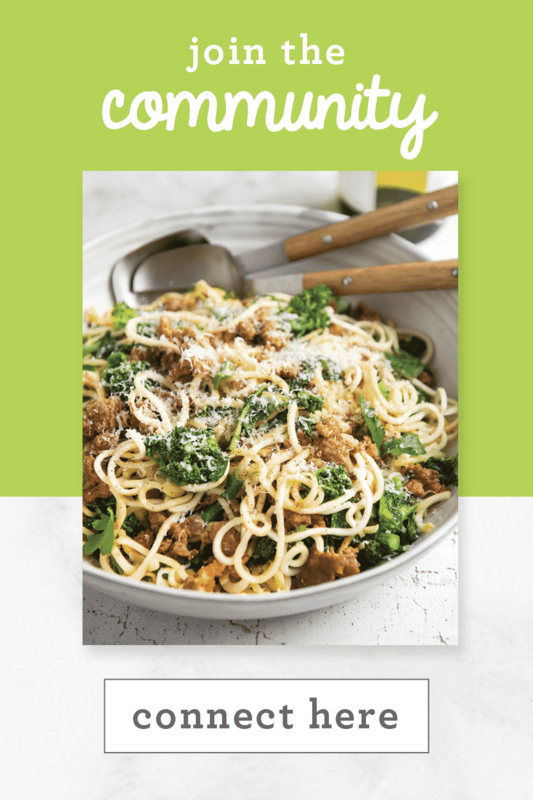 Zucchini noodles are the perfect side dish for any protein – salmon, chicken, steak or even a chickpea ragu. This recipe came from the need for a side dish. I was baking a filet of salmon in a teriyaki glaze and needed something quick and easy to serve alongside it. After debating between a quinoa pilaf and a corn succotash (so time consuming! ), I grabbed a zucchini out of the fridge, spiralized it and cooked it with some sesame oil and leftover ginger, garlic and scallions from the teriyaki marinade and voila – a complete meal, in 5 minutes! 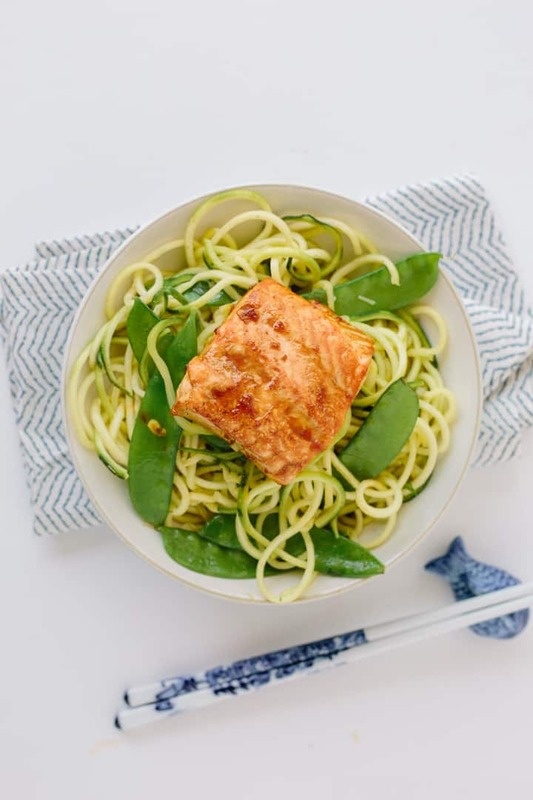 These zucchini noodles are simply flavored and complement the teriyaki flavors of the salmon well. 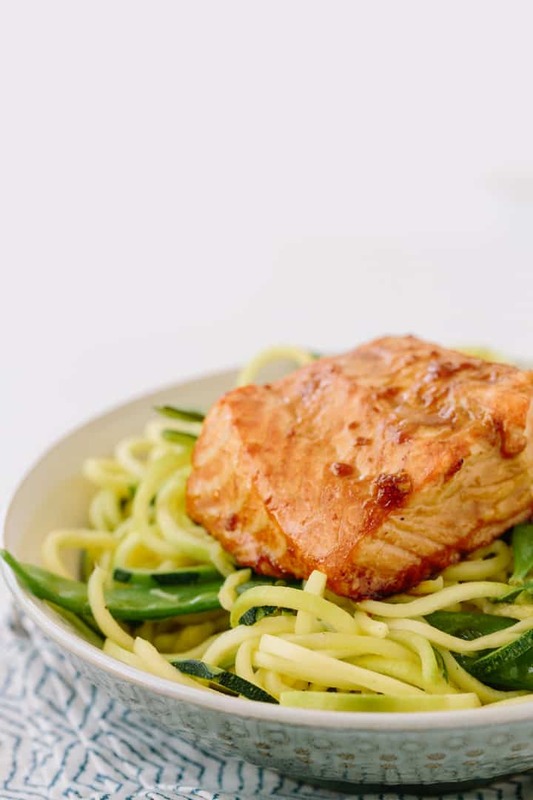 Since the salmon and teriyaki have a distinct, strong flavor, the zucchini noodles are an ideal vehicle to carry the tastes and aromatics of the dish! Long story short: when you don’t know what to serve with your summer grilled meats, toss together a zucchini noodle side dish! Whisk together all of the ingredients for the teriyaki marinade and add to a zip-lock plastic bag or shallow dish. Add in the salmon, shake lightly to coat (or, if using a dish, flip over until all sides are coated) and place in the refrigerator for 15 minutes. 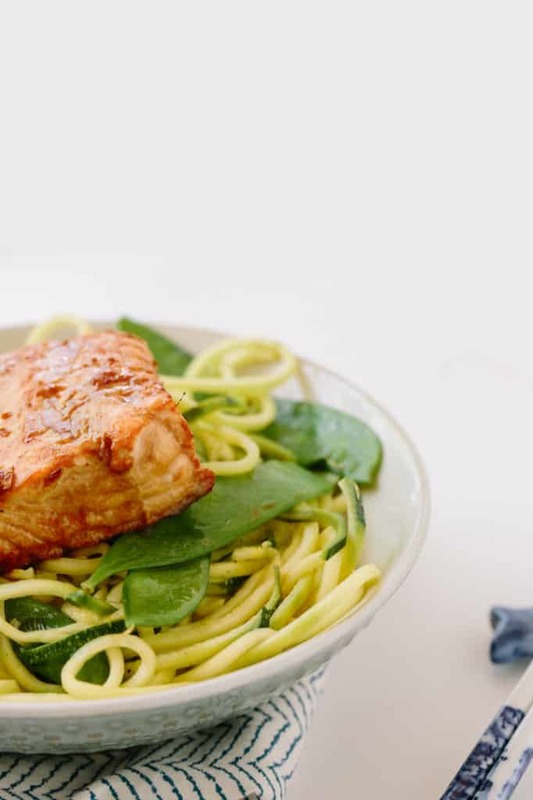 While salmon marinates, spiralize your zucchini with Blade C and set aside in the refrigerator. Prepare the rest of your ingredients. Remove the salmon from the marinade and place on the prepared parchment paper and drizzle over with 1 tablespoon of leftover marinade. Bake the salmon for 15 minutes or until fish flakes easily with a fork. After roasting the salmon for 10 minutes, place a large skillet over medium heat and add in the sesame oil. Once oil heats, add in the garlic, ginger, scallions and red pepper flakes. Let cook for 30 seconds or until fragrant and then add in the snap peas and zucchini noodles and cook for 3-5 minutes or until noodles soften to your preference. Plate the zucchini noodles and serve alongside the baked salmon. This is what was going to happen tonight, ESP? Hot n humid and we don't get that in this area, till now. Add some watermelon and I'm done!! This looks easy and super yummy! I love salmon but haven't had it for ages so will have to try this soon! Hi Ali and congratulations on your wedding. It looked beautiful and so too, the happy couple. I hope you can answer a question for me as it's quite frustrating. 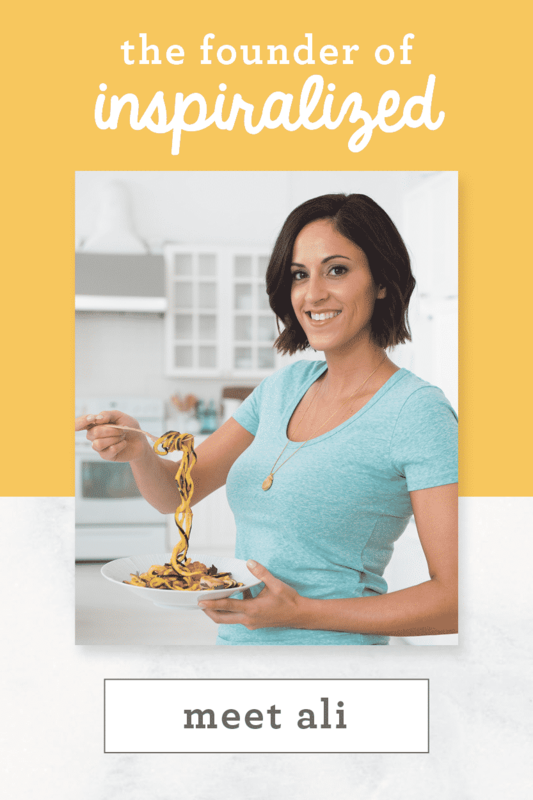 I'm new to spiralizing and am having trouble. 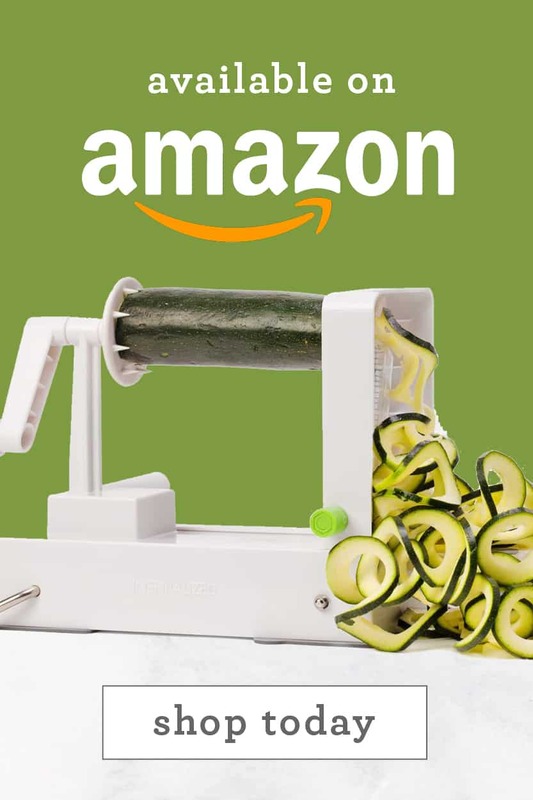 Is spiralizing intended to leave the last 3/4 to 1" of the veggie unable to be spiralized? 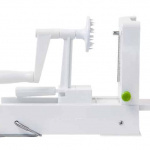 ( I ordered a Paderno machine before I knew you sold a machine on your site.) It seems to work well until I get to about 1" and then no more spirals. It seems like a waste of a perfectly good veggie. I hope you can answer and if I am having user problems, please direct me to a video which shows the correct way. Thanks so much.! Mine plate is not as pretty as yours, but this recipe is soooo delicious! and I voted. ouuuu it looks so good! im not a huge salmon fan, but i might try it substituting chicken! Thank you for all these incredible recipes. Tried this one and have had it twice this week. Absolutely delicious. Even my fussy 12 year old asked for more. 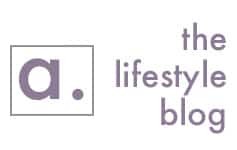 Your enthusiasm and love for what you do really comes through and I am finding myself scrolling through every post and recipe obsessively! 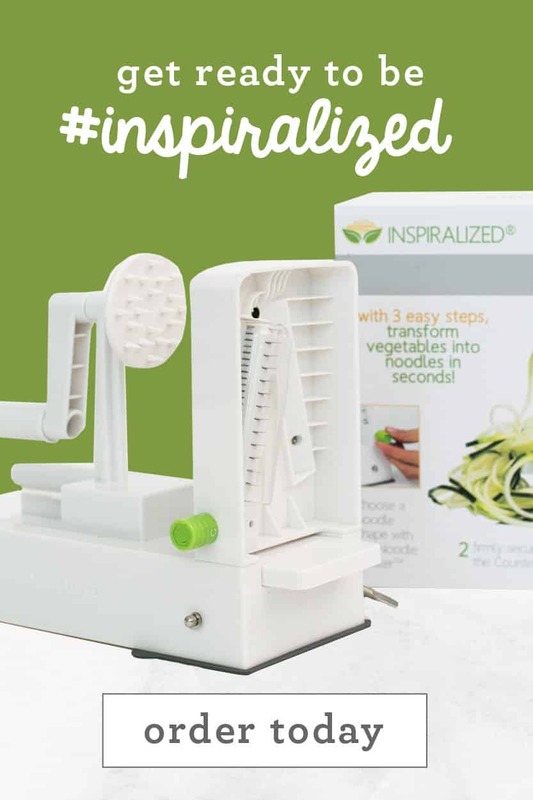 Looking forward to trying more recipes and making sure my spiralizer pays for itself. 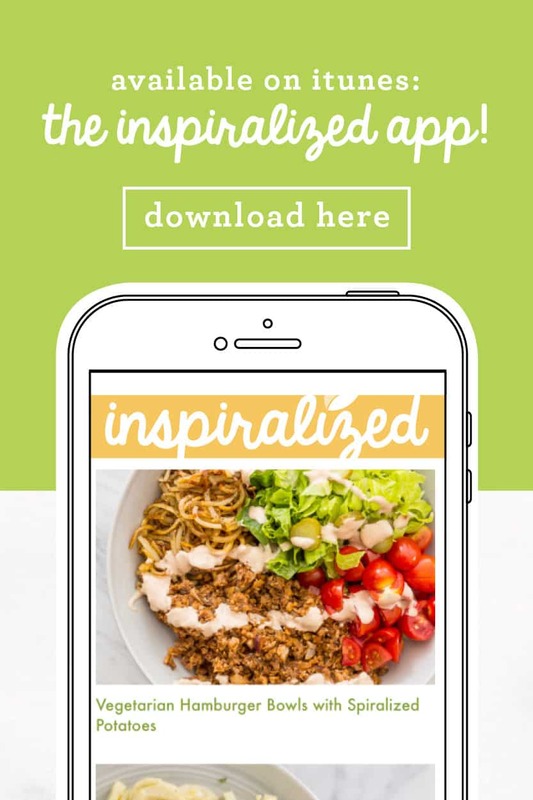 I've made this several times and it's so easy and delicious! 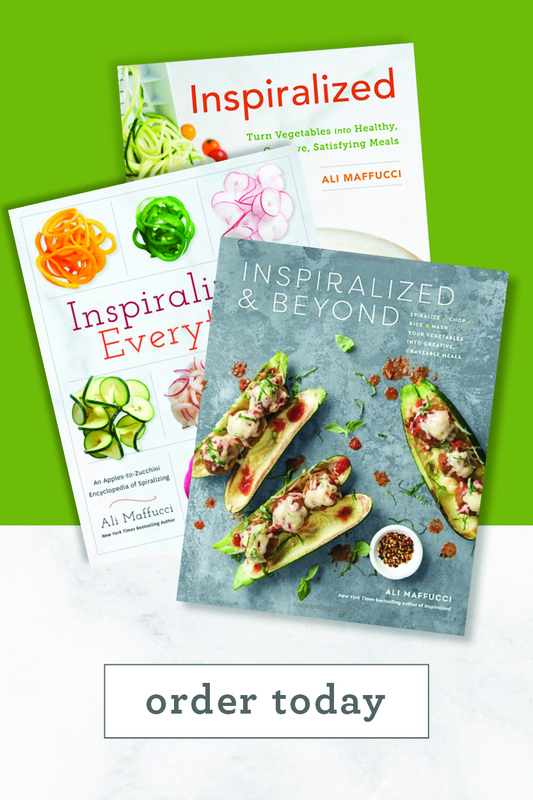 Planning on preparing the zucchini noodles and marinade ahead of time and pre-chopping the ginger (I was already using store bought chopped garlic) for some super fast weeknight dinners this week! Great recipe! 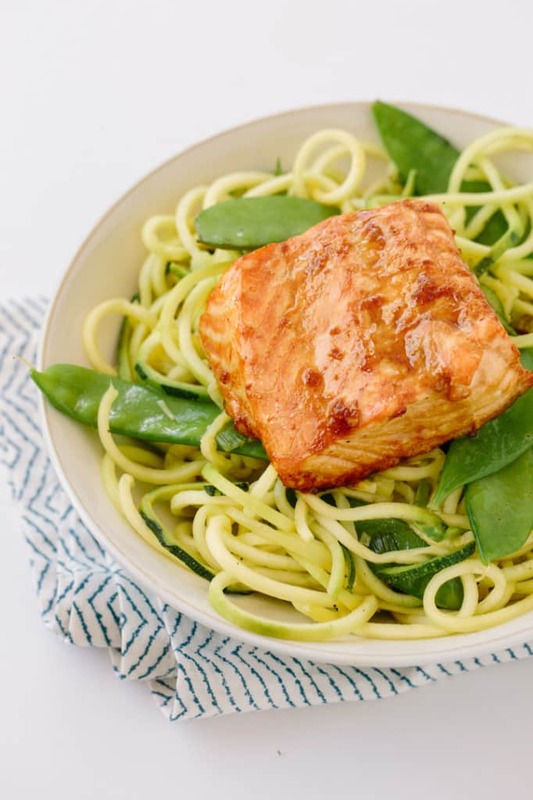 The salmon is delicious and the zucchini noodles have great flavor. We'll definitely be making this again! This recipe is on point! Of course the spiralized zucchini is wonderful but it is the salmon that is the star of this show. I think it would work with any marinade but marinated salmon cooked at 425 degrees for 15 minutes on parchment paper is a no-fail method. I have made this recipe at least 5 times! I julienne the snow peas and then while the salmon is in the oven, I pour the leftover marinade in a small skillet and reduce it until it is thick. Then during the last five minutes of cooking the salmon, I spoon on the reduced marinade and finish baking it for a really good glaze. Thank you Ali, you truly are an inspiration! This is really great, and I like that the marinade is neither sweet, or overly rich with oil. Baking is a very easy way to get salmon that isn't over done. AND it's quick, even with the number of ingredients it was less than a half hour. I will definitely be making this again. Thanks! Hi Janet! Great! So happy you enjoyed!